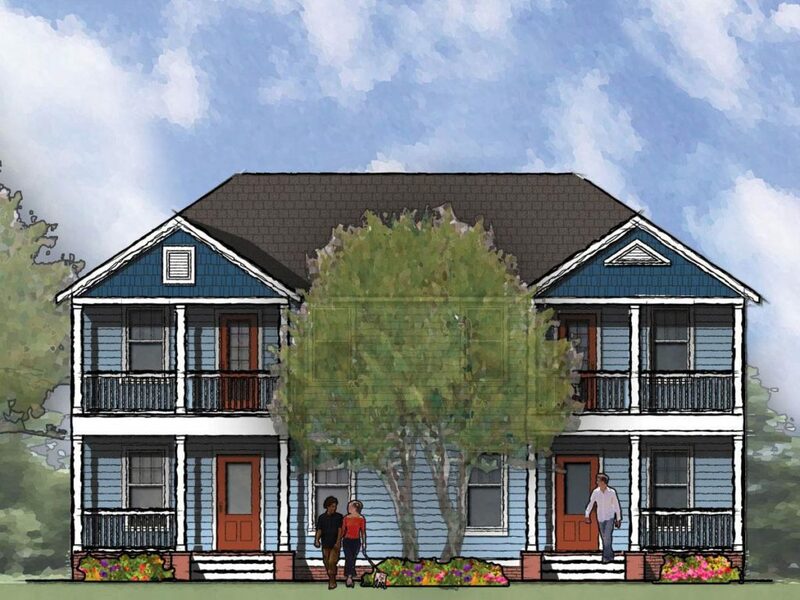 This two story Prairie style duplex offers two units of 1167 square feet. 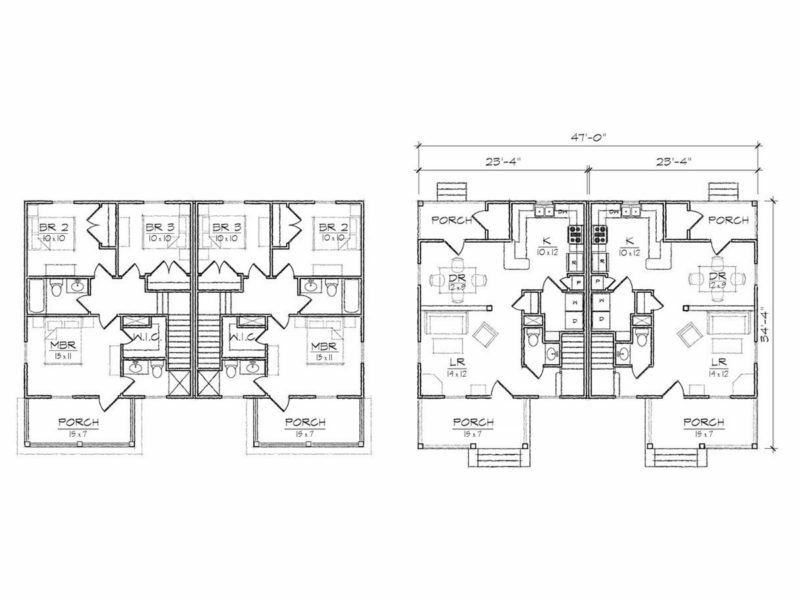 Each unit features a large open living area and spacious U-shaped kitchen with a breakfast bar that opens to the dining room. 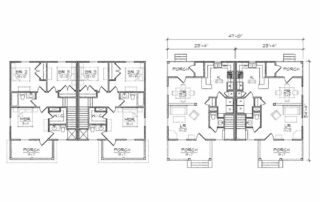 Both plans contains a total of three bedrooms, including a private master suite, two full bathrooms, a powder room & first floor laundry room. 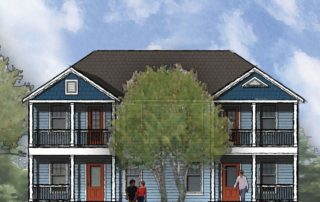 The historically inspired exterior offers a gabled first and second floor porch as well as a covered rear porch for each unit.